So far in my Dress Code 101 series, I’ve covered some quick tips on how you can style for Cocktail, Formal Daytime, Formal and Dressy Casual looks. 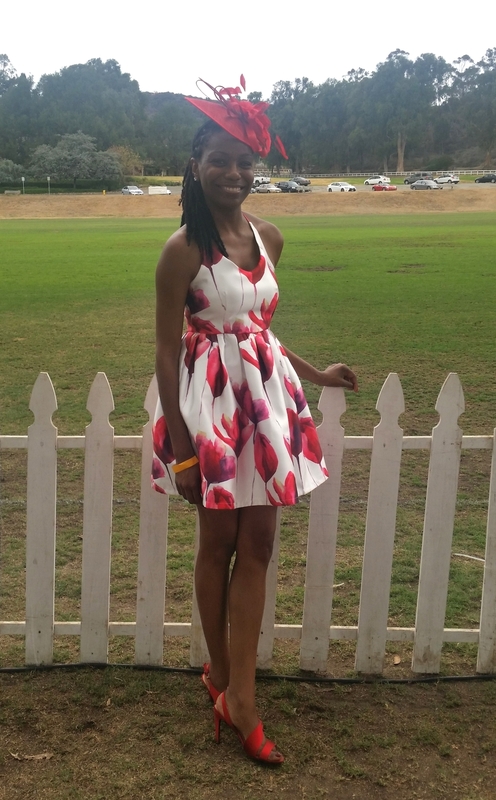 Today, I’m going to give you even more tips on how to stylishly dress for a Garden Party! When the weather is warmer (hooray for Spring and Summer! ), outdoor events are being penciled into many of our calendars and garden parties provide an opportunity to get dressed up while getting some sun! Here, the look you want to go for is somewhere in between Dressy Casual and Formal Daytime. Sometimes your party will have a theme that will dictate what you should wear – for example, a White Party. 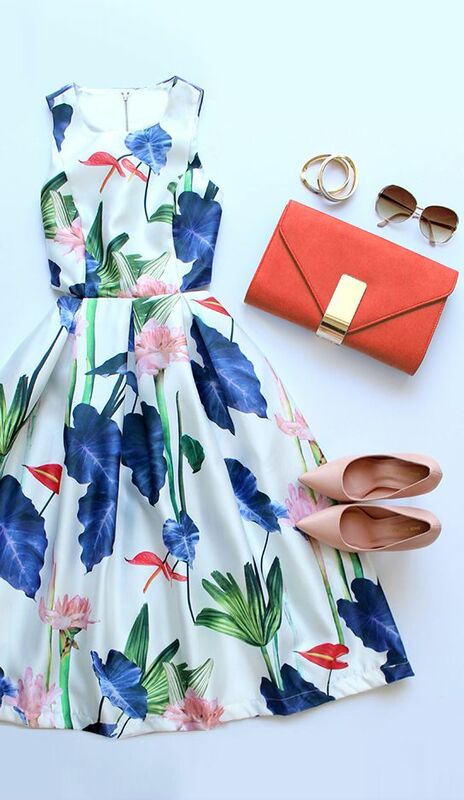 However, for parties that don’t have a particular dress theme, you may want to wear florals, softer colors such as pastels, or small pops of color (as I did for my Polo at the Park event last year). Wearing a dress is the norm, but you’re definitely not tied to that convention – wearing pants is just fine too! If you choose to wear pants, I recommend wide-legged palazzo styled pants that are feminine and have flow. Oh, and one item that you might want to consider is a lightweight cardigan in case there’s a cool breeze or if the function goes into the evening. One area that you want to be careful with is shoes. If you’re going to be in a grassy area, wedges are recommended because heels will definitely sink into the grass can dirty or discolor your shoes. Otherwise, a dainty heeled sandal will work very well if you’ll be partying on a patio. With your Garden Party look, you’ll have fun accessorizing! I have one word for you – hats! Hats, hats, hats! Think Ascot or the Kentucky Derby. In a lot of cases, you can even dress your total look around a hat. Or, on the other hand, a hat will the just the right accessory to complete your look. In one of the pics below, you’ll see that I wore a vintage fascinator hat to complement my tea dress – I loved that hat! Other accessories you’ll be able to play with include big sunnies and tasteful jewelry. Your jewelry shouldn’t be too flashy or gaudy. Diamond or pearl studs coupled with a simple necklace (I recommend Princess to Opera-length) certainly work well here. The last accessory you’ll have want to have in hand is a clutch handbag in a color or pattern that helps set your look. Keeping your Garden Party look refined and tasteful is never a fail and you’re guaranteed to look great! Take a look of some of these pics for inspiration – enjoy! 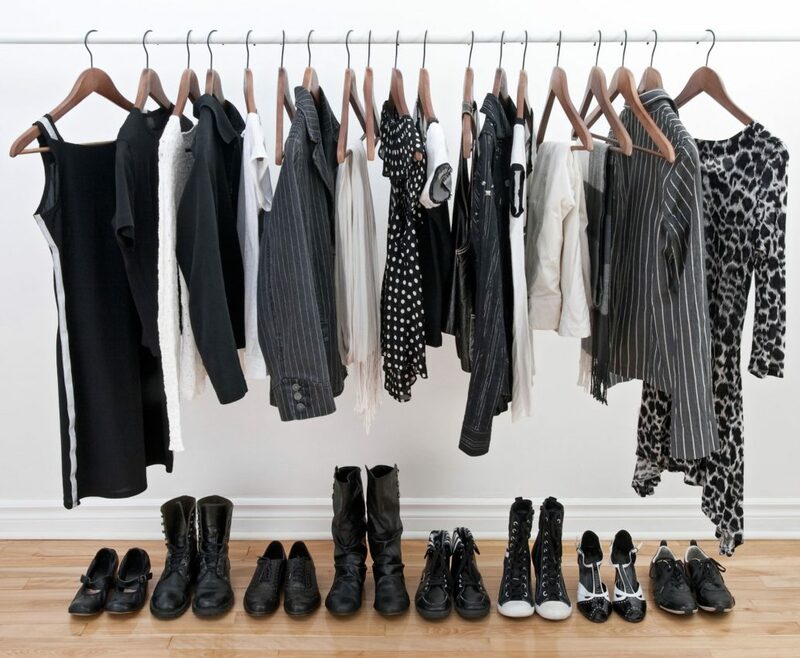 Want some more tips on how to define different dress codes? Check out my posts on styling Cocktail, Formal Daytime, Dressy Casual, and Formal looks. And, of course, if you need help styling a particular look for a special event, you can reach me here to connect! i am in love with these ideas thank you so much for publishing me and my cats have tea partys all the time and are forever thinking of new inventive ways.